Aleppo has been almost completely destroyed as the regime of Syrian President Bashar al-Assad has fought to retake the eastern part of the city from rebels. The commercial capital of Syria, Aleppo was once a thriving city with Western chains, shopping centers, and beautiful mosques. But there's not much left standing anymore. Ahmed Juventus, an aid worker in east Aleppo who goes by a pseudonym, described the city as "a wasteland of rocks." "The regime did not win, the regime exterminated all of Aleppo and occupied an empty and destroyed city," he told Business Insider via voice messages on WhatsApp. The difference between pre- and post-war Aleppo is stark. A vendor sits inside an antique shop in al-Jdeideh neighborhood, in the Old City of Aleppo, Syria December 12, 2009. The Old City of Aleppo was known for its marketplaces. People walk inside the Khan al-Shounah market, in the Old City of Aleppo, Syria December 11, 2009. Picture taken December 11, 2009. The city also had Western-looking malls with familiar chains. People walk in the Town Mall in Aleppo, Syria December 12, 2009. Picture taken December 12, 2009. Costa Coffee and Second Cup coffee branches are seen inside the Shahba Mall in Aleppo, Syria December 12, 2009. Picture taken December 12, 2009. But the city is now in ruins. Some of its historic mosques have been severely damaged. 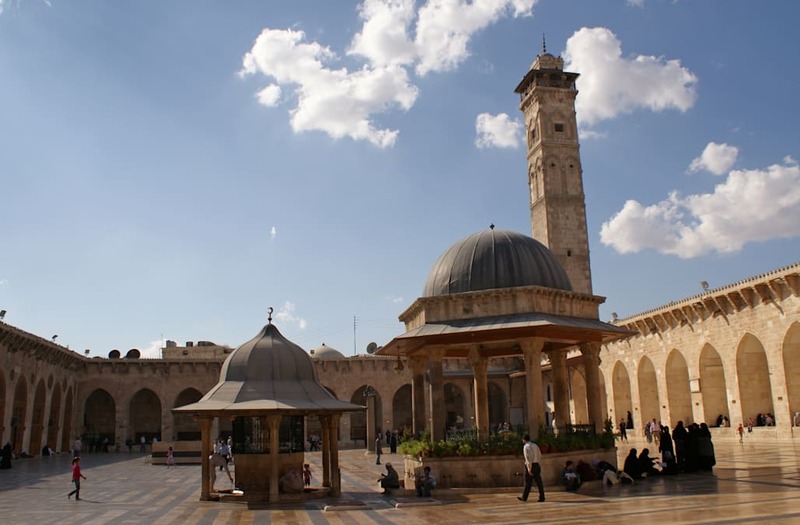 Visitors walk inside Aleppo's Umayyad mosque, Syria October 6, 2010. Picture taken October 6, 2010. A view of the Grand Umayyad mosque damaged from clashes between the Free Syrian army and forces loyal to President Bashar al-Assad in Aleppo, November 19, 2013. One mall, which was one of the largest commercial shopping centers in Syria, was damaged in regime airstrikes. People stand inside the Shahba Mall in Aleppo, Syria December 12, 2009. Picture taken December 12, 2009. "It has gotten better only in the sense that the shelling stopped. The ceasefire did stop the shelling but the price was that we had to leave our homes. People's hearts are broken as they are now forced into exile from their place of birth and hometown." The scale of destruction in Aleppo is stunning. But rebels have vowed to keep fighting the oppressive Assad regime. "Syria is now in a state of war which is wins and losses. This is Syria for now," Juventus said. "The revolution is still alive even though our future is unknown. As long as the regime continues to massacre people, we will continue."